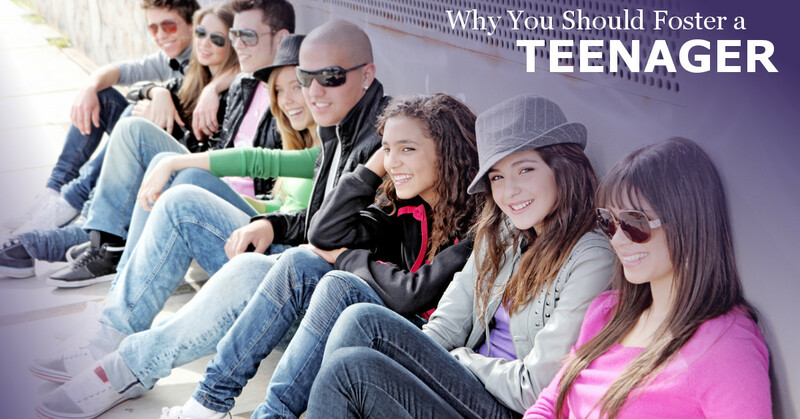 Foster Care PA: Why Foster Teens? It’s no secret that teenagers are often difficult to place with a foster parent within the foster care system because many families expect to be fostering children, which most imagine as no older than twelve years old. Unfortunately, that means many foster parents miss out on the experience of fostering teenagers, which presents certain challenges, yes, but also presents certain benefits and opportunities you won’t find while fostering small children. In this blog post, we’re going to focus on why you should definitely consider becoming a foster parent for a teenager in the foster care system. Yes, it is true that teenagers come with a whole new set of challenges that must be faced, but this won’t seem quite so scary when you consider the challenges of fostering you’re not likely to deal with. For one thing, small children need structured and specific rules, such as an enforced bedtime, and the child him or herself doesn’t need to be a part of those decisions. Teenagers, on the other hand, are old and mature enough to understand the value of boundaries and therefore should be made a part of that conversation. When you negotiate rules with your foster son or daughter, it shows him or her that, while you’re certainly not the roommate, you understand that he or she is not a little kid either. Like we said, your foster teen wouldn’t be your roommate, and the relationship between the two of you should ultimately be a parent-child relationship. However, your foster son or daughter may be much more likely to respect you if you show him or her respect. Teenagers want to be respected, heard, and understood. Show your teenaged foster son or daughter what fairness looks like, apologize when you yourself make a mistake, and the two of you will likely enjoy a productive relationship. What we’re getting at here is that fostering a teenager is like fostering an adult in training. Sounds like fun to us. Not only will your foster teen already be potty trained, but it’s also possible that he or she will have a driver’s license and will even shower and dress without needing your help. Whether you have biological children of your own and don’t care to go through the diaper stage again or are simply not interested in fostering very young children, you should consider a teenager. He or she may even help with the laundry, the cooking, or the cleaning if you’re so lucky. We hope this post has helped at least a bit in explaining how fostering teenagers can be a real joy. If you’re interested in becoming a foster parent in Pennsylvania, please don’t hesitate to get in touch with the foster care professionals at Family Care For Children & Youth. We can answer any questions you may have regarding the entire process and help you become a foster parent. Call now, or contact us online.